There are approximately 750,000 people with dementia living in the UK. Many of these people are elderly and live with elderly care givers. 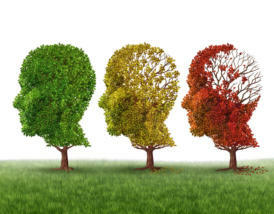 Dementia is an umbrella term for a variety of conditions which cause the brain to fail. Alzheimer’s disease is one of those. The thing that Alzheimer’s disease and other dementias have in common is the high risk of behavioural disorders - changes in personality and people behaving out of character. Vascular dementia is the next most common form of dementia and is estimated to cause between 5% and 30% of cases. Vascular dementia ia caused by decreased blood flow to the brain which is often caused by a series of small strokes. The progress of vascular dementia is often associated with further small strokes. 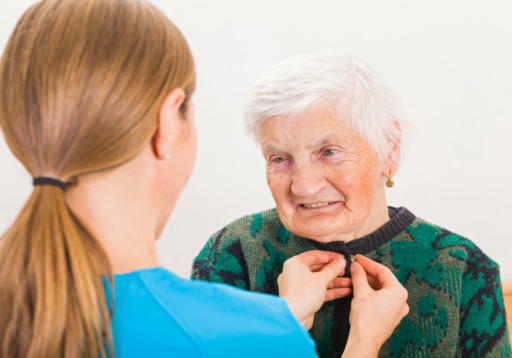 Other dementias include: • Lewy Body • Frontotemporal • Mixed Common behavioural difficulties: • Inappropriate physical and emotional behaviours • Unhealthy eating habits • Lack of hygiene and personal care • Wandering • Repeating things • False accusations • Striking out • Lack of communication. How we can help The best place for a person with memory loss is in familiar surroundings, but it can be difficult to care for a loved one with dementia because of the difficult behaviours associated with the condition. Please remember you are not alone. We can help by providing fully trained, experienced, carers. We can support you by identifying, recommending, and delivering specialist dementia care interventions to increase your loved one’s well being. For example by: • Sharing our knowledge and expertise with you • Helping to manage challenging behaviour • Supervising daily activities • Assisting with personal hygiene tasks • Providing mind stimulating activities which promote a fulfilled, contented, life • Reducing the load on carers at home so they can have a break • Helping people to live in their own homes, independently, for as long as possible. Self-Care Tip Build in some time just for you. Maintain friendships that you value. Meet a friend for coffee and spend time with children or other relatives. Maintain spiritual activities or hobbies. Be sure to take time for yourself.